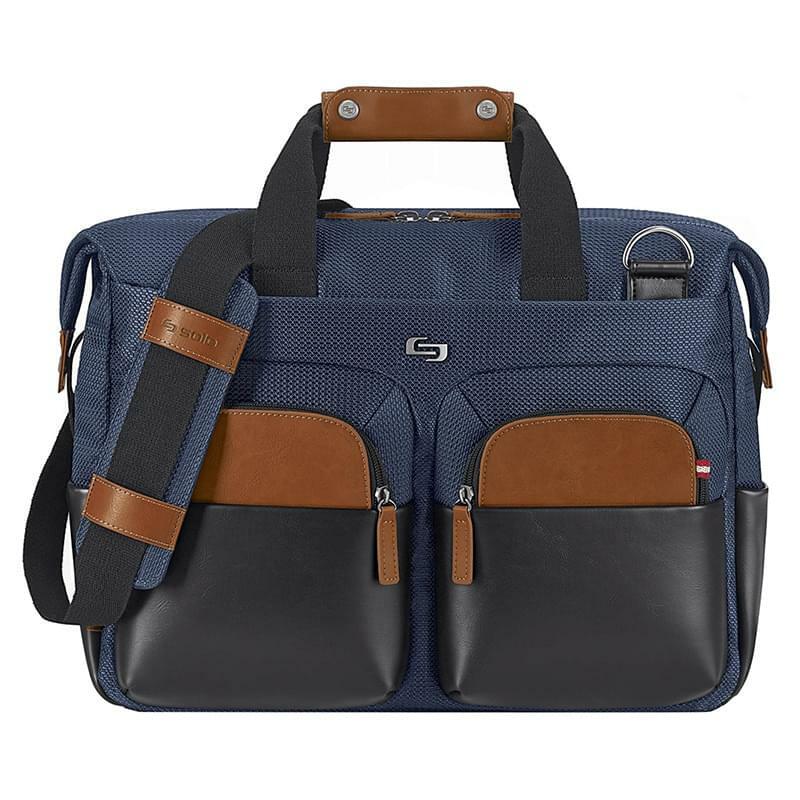 The Solo Hamptons Collection Sag Harbor Briefcase features Tartan blue interiors and is constructed with durable thick weave polyester and leatherette. 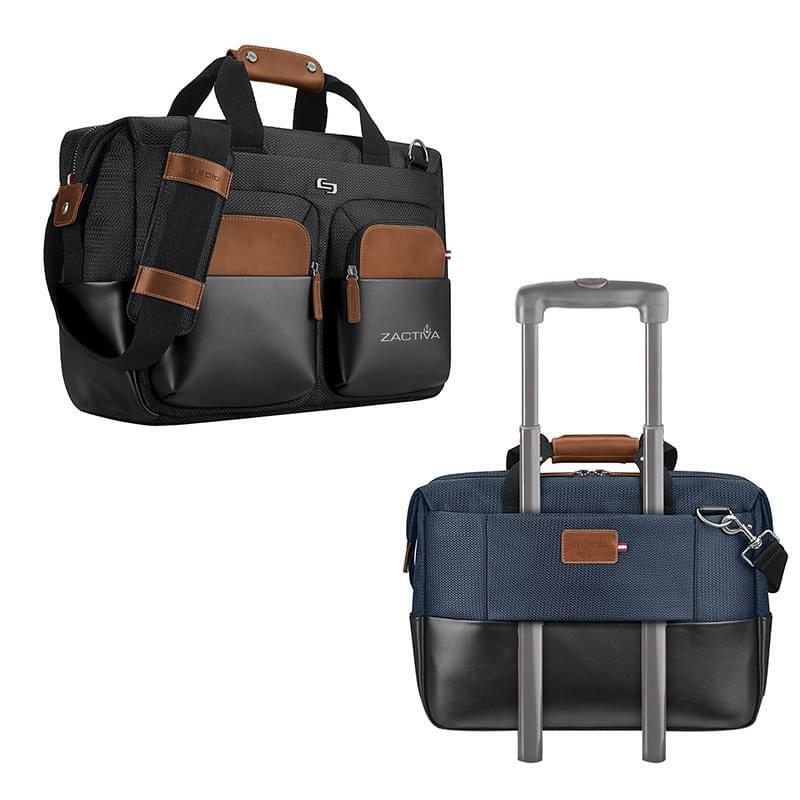 The center padded compartment has a laptop pocket that protects laptops up to 15.6", a dedicated tablet pocket and a file pocket. The secondary zippered pocket has a multi-pocket organizer and a key clip. The bag also features a zippered rear file pocket, two side pockets and two zippered front pockets. It also offers a leatherette padded carry handle, a trolley handle pass-through strap, and a removable and adjustable 1 1/2" x 52" padded shoulder strap. Manufacturer provides 5 year limited warranty.